In the industrial world, there are few things more stressful, time-consuming, and costly to a business than a factory or plant relocation. A critical requirement of an industrial relocation project is hiring a qualified and experienced industrial rigging contractor to dismantle and move the machinery and equipment within the plant to the new site and reinstall. 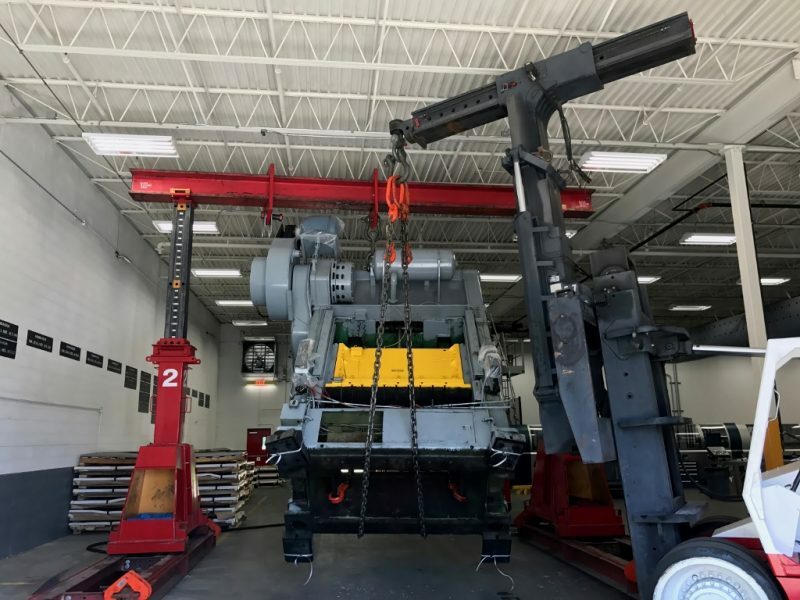 A&A Machinery Moving is highly experienced with the critical and specialized work required to relocate industrial equipment, plants, and factories. 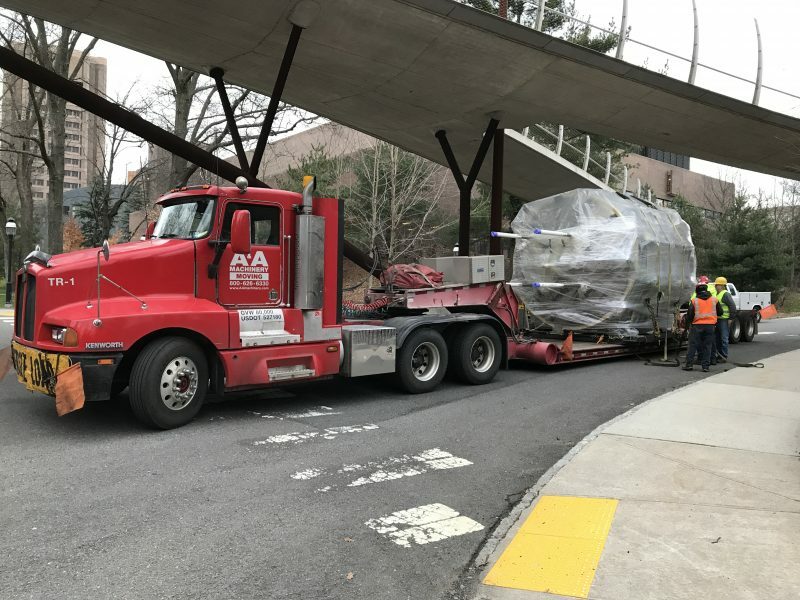 Whether you’re company is moving down the street or across the country, we’ll be your industrial plant relocation contractor from start to finish. Some industrial contractors can only provide one aspect of your project. A&A Machinery provides the necessary trades for all phases of the project. Relocating high-valued physics lab equipment for a local university. Our ability to manage all phases of your plant relocation project simplifies the scheduling of each phase, and the communication between you and our relocation team. We’ll provide a single point-of-responsibility for the overall coordination and management of the relocation. The experienced relocation team managing your project will work with you to identify and minimize potential risks that could threaten the schedule, cost, and successful completion of your relocation. Project Fact: A&A relocated 42 truckloads of industrial equipment over a single weekend. Production ceased on a Friday and resumed at 10 AM on Monday morning at the new location. When it comes to relocating plants or factories, off-site storage, sequential staging and just-in-time delivery of machinery, equipment and materials can provide a low-cost, efficient solution. Warehousing and storage avoids unnecessary delays in the schedule and added expenses to your relocation. A&A Machinery provides full-service warehousing and storage solutions for your heavy machinery and industrial equipment. This is an added benefit of our turn-key plant relocation solutions. Operating over 170,000 square-feet of indoor warehousing space and 8 acres of outdoor space in the Greater Philadelphia area allows us to accommodate large-scale industrial machinery and equipment. Presses, CNC machines, conveyors, tanks, process equipment; it doesn’t matter. Our warehouses will accommodate all machinery and equipment within your plant. We’ll even supply the crating, packaging, and transportation of your machinery and equipment. A&A Machinery Moving will be your relocation team every step of the way. We’ll provide all the necessary trades for all phases of the project – from dismantling and shipping to transportation and reassembly. We’re the highly-skilled and experienced industrial rigging contractor necessary to successfully complete your factory or plant relocation project.